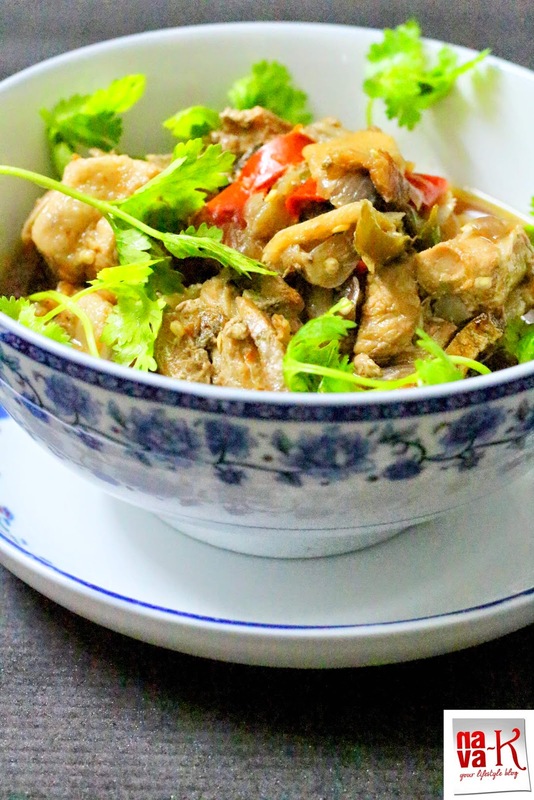 Steamed Pork With Salted Fish! Trust me, a rapid explosion and burst of my or maybe even your forever appreciated and loved saltiness and spiciness in tender pork belly. Of course, pork belly and fats as well? Not really healthy, but I guess once a while would massively shake our health (Siew Yoke & Char Siu). Steamed Pork With Salted Fish is really so and very easy to make. Add all the ingredients in a steaming tray and steam, and you are done. 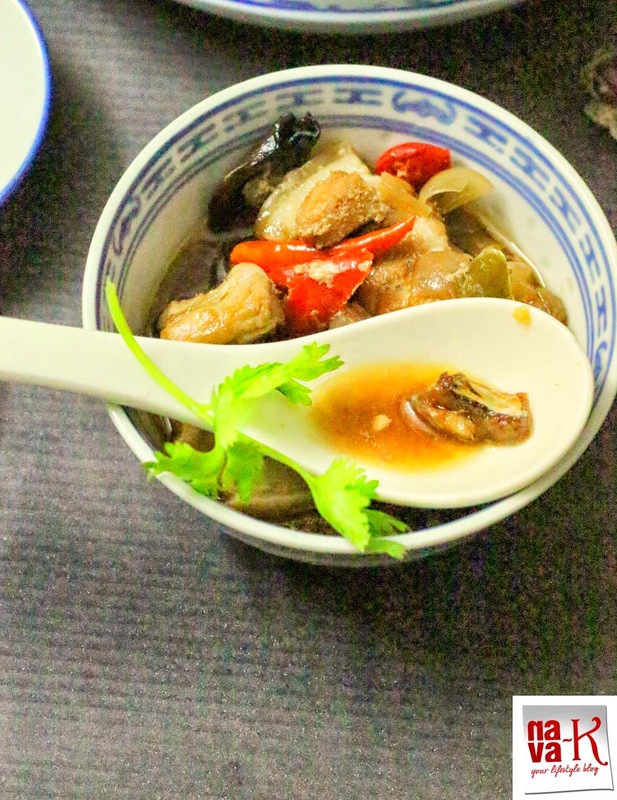 My version I believe is somewhat unique and outstanding because I decided to go with my instinct and gut feeling on how I can further spiral and heighten Steamed Pork With Salted Fish to up and away, higher for a major revelation of tastes (Salted Fish Bone Soup, Salted Fish Bone Curry, Salted Egg Chicken, Dried Shrimp Sambal & Bean Sprouts Salted Fish). 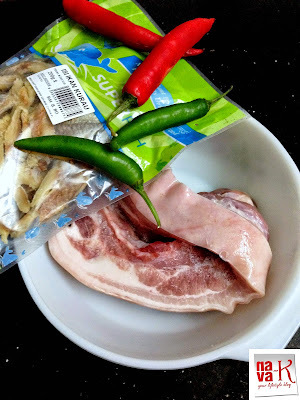 Pork belly steamed alongside salted fish, chillies, soy sauce, ginger, and tamarind, garnished with coriander leaves. Add all the ingredients into a steaming tray. Pour water for extra drippings (only if you prefer). Steam (keep the heat/fire very low) till pork is soft and tender. Remove and garnish with coriander leaves before serving. looks very tempting and clicks are amazing. Love the clicks...I m vegetarian but will share this recipe with my friends navi.. Very well presented dish. but, I don't have any clue about Pork ! Looks delicious and amazing clicks.. Happy Wesak day and a great day ahead. Great recipe! I can imagine the different taste in this dish! Nava, amazing clicks!! I am sure this tasted great.. TEMPTING!! its been ages I haven't eaten port. That looks like a nice dish. 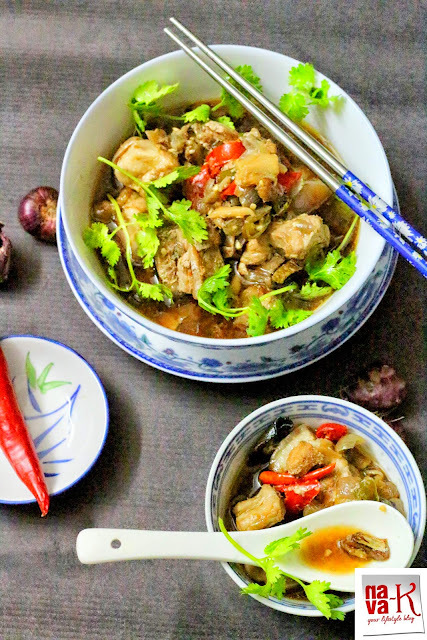 What a colorful and flavorful dish - pork belly with fish and tamarind flavored gravy - I am intrigued! I love pork belly in any form and this dish looks lovely. The flavours are a beautiful combination too.